This is a debate hosted by the SETI institute between Robert Zubrin, founder and head of the Mars Society, and one of NASA’s former planetary protection officers, John Rummel. They debate the requirements of the Outer Space Treaty of 1967 to protect both Earth and other celestial bodies like Mars from any harmful effects from the exchange of living organisms between the planets on our spacecraft. This treaty is ratified by 105 countries including all space faring nations except the United Arabic Emirates and North Korea. Robert Zubrin is a space engineer, founder of the Mars Society. He is keen for humans to colonize Mars and wants us to drop all precautions in both directions (except for instruments that are sent there to study life). As you can see, he is an accomplished debater, master of witty repartee and vivid analogy. His arguments seem to persuade many people, convinced that our insights about the likes of Canada geese apply to microbes on meteorites headed to or from Mars. John Rummel has studied planetary protection for years, was NASA's planetary protection officer before Cassie Conley, and has written many papers on the subject. He has a much quieter style of live debate, with a focus on finding common ground. At the end of that debate, how many of John Rummel’s points do you remember and how many of Robert Zubrin’s? Having expert knowledge and a good sense of humour isn’t enough, sadly, in a debate like this. After watching that debate you may be a little surprised to learn that what John Rummel says there is not even under debate amongst experts on planetary protection. Zubrin is a widely respected space engineer. He has had some brilliant ideas that are appreciated by many. However when it comes to planetary protection, then he does not have the same widespread support outside of the community of Mars colonization enthusiasts. "Contamination From Mars: No Threat". It has only two cites in Google scholar, both refuting it. Practical Safe Science by Kenneth Nealson, Director of the Center of Life Detection at NASA's JPL at the time. So why do these experts, all authors of numerous papers, experts who have dedicated their professional life to planetary protection and astrobiology, continue to hold such views, when Zubrin, a space engineer who never studied astrobiology, seems to demolish them so easily in this debate? I thought I’d write some spirited replies to his points, to help give you some insight into this puzzle. You would otherwise need to delve deep into the detailed technical literature on planetary protection to find this material. I have stronger planetary protection views than either Zubrin or Rummel, as you'll see. I think that in the forwards direction we potentially risk extinguishing all martian life, if it is at an early stage and doesn't yet have bacterial competition or predation (see Carl Woese's On the evolution of cells ). In the backwards direction, I would go a step further than most and say that the safest and also the most practical approach is to return an unsterilized sample to above geostationary orbit, at least until we have done a preliminary study (though we could return sterilized materials from a sample to Earth right away). So you can expect a specially spirited response :). I’m trained as a mathematician, and am not an astrobiologist (but neither is Zubrin of course). But what I do have, apparently, is a way with words and an ability to present ideas clearly with vivid images. I’m also academically trained as a mathematician, logician and philosopher, and know how to check sources, and then check my understanding with expert friends. I am also in the middle of writing a book on planetary protection, online and on kindle, Ok to Touch Mars? Europa? Enceladus? Or a Tale of Missteps? "Mieux ses ennemis le réfutaient , et mieux ils le servaient ; car du choc des idées naît la lumière , et quelquefois la vérité, quand elle se laisse surprendre". "The better enemies refute, the better they serve, because from the shock of ideas, light is born, and sometimes the truth when it comes forth surprises us all." (My father was fluent in French; sadly I don't speak French myself). So this reply is in that spirit. Could the blue-green rock dweller chroococcidiopsis get to Earth from Mars on a meteorite? Could Earth microbes extinguish martian life? Haven't we been looking for life on Mars for decades? Actually - no, not since Viking! Martian UV perchlorates and ionizing radiation are not sterilizing for microbes - not even for humans! Can't we just copy what they did for Apollo? How long would it take to search for life on Mars from orbit first? First, it’s a nice vivid analogy, to say that microbes can fly from Mars to Earth on martian meteorites through the vacuum of interplanetary space, like Canada geese flying from Canada to the USA through the air. But is that true? Branta canadensis -near Oceanville, New Jersey, USA - Yes Canada Geese can fly from Canada to the USA. Actually they can’t even fly to the UK but were introduced here. They certainly can’t fly to Mars. Can microbes fly back and forth on meteorites? And if some species can, can they all? How often and when was the last time this happened, if it is possible? Some of our rocks do come from Mars, that is beyond doubt. And many tons get here every century. But is there life on them, or are they sterile? The Allans Hill meteorite ALH84001, which Zubrin uses in one of his replies, is actually a great example to show the difficulties life faces traveling from Mars to Earth. Yes it is true that though some meteorites heat up by hundreds of degrees, this particular meteorite never got very hot. However, it spent 14-16 MILLION YEARS getting from Mars to Earth. It was sterilized of all martian life, through cosmic radiation, long before it got here. So this particular meteorite was certainly sterile when it reached Earth. We know for sure that it did not transfer any life from Mars to Earth. But some meteorites do get here faster, so let’s look at it a bit closer at the other stages in its flight that can sterilize any life within it, or prevent life getting into it in the first place. On arrival at Earth then ALH84001 like all the other martian meteorites hit our atmosphere at a minimum of 11 km / sec. It rushed through the atmosphere as a glowing fireball with a hot plasma that burnt up 10 - 20% of the rock (by radius). Its mineralogy shows it came from 4.3 billion year old terrain which suggests it comes from the heavily cratered southern uplands of Mars. Indeed they can narrow it down further to two possible source craters (see the search for possible source craters for Martian meteorite ALH84001). This combination of an origin deep below the surface and from ancient terrain in the high uplands (where the air is thin) makes it extremely unlikely that there was any present day viable life on it when it left Mars. ALH 84001 is also one of the more shocked martian meteorites we have in our collections, with a shock pressure of 32,000 atmospheres (32 GPa), which as a sudden instant application of shock would kill just about all Earth microbes. The microbe Bacillus subtilis and the lichen Xanthoria elegans survived up to 45 GPa (see Ejection of Martian meteorites). But many species would have no chance of withstanding that level of shock. He could hardly have chosen a better example, indeed, to show why it is difficult for many, perhaps even all species of microbes to get from Mars to Earth. All the rocks arriving from Mars right now spent at least 600,000 years in transit (this is the lower limit for the exposure age of the one that got here quickest, EET 79001- see Ejection of Martian meteorites), and were no more than 2 meters in diameter before entering our atmosphere. At that diameter they would be sterilized even of radiodurans, one of the most radioresistant microbes known, in less than 70,000 years. Most would be sterilized much more quickly than that, as most are no more than 60 cm in diameter and the ones in our collections had pre-atmosphere sizes of 23-25 cm. (For the diameters see page 1355 of this paper. and for the sterilization timescale see table 1 of this paper, bearing in mind that the ionizing radiation levels on Mars are less than half those in interplanetary space). The chance that some giant meteorite hits one of the very few hydrothermal systems on Mars that reach close to the surface (if they exist), and is able to send rocks with viable life on them all the way to Earth, is tiny. Rear of the Tissint Mars meteorite, covered in glossy fusion crust - credit London National History Museum. Mars Meteorites: Pieces of the Red Planet on Earth (Photos). This is perhaps our best candidate for a meteorite from Mars that might have had martian life originally at some point in its past history. Its organics are depleted in carbon 13 relative to carbon 12 compared to the present day Mars atmosphere. Life preferentially uses the lighter isotope because it reduces energy costs slightly (techy term: kinetic fractionation). However, we don't know for sure, as this can happen in other ways too, for instance in methane from some hydrothermal vents. For more on this, see Tissint meteorite - a great example of what we might get in a sample return from Mars in my online book. Can martian life be transferred to Earth on such a meteorite? If so, can all species of martian life that could be harmful to Earth's environment be transferred in this way? Remember, to show that it is safe to return life from Mars you have to show, not just that some species from Mars can get to Earth, but that all the species you might return from Mars could get here on a meteorite. We don't actually know if any species on Mars can withstand the shock of ejection and the vacuum and cold of space, not when we know nothing about its biochemistry. Let's take Chroococcidiopsis as an example, though bearing in mind, it may well be better able to tolerate meteorite transfer than martian life. Strains of this photosynthetic Blue-Green Rock Dweller live almost anywhere from the coldest driest rocks in Antarctica through to water tanks in the tropics. It can withstand high levels of UV, it can survive ionizing radiation, even when it causes double breaks in its DNA, repairing them within hours, it has high tolerance to salts, is fine with a near vacuum for an atmosphere, and is all round one of the best candidates we have for life that could survive on Mars. Could it, or its close cousins, travel to Earth from Mars in any of the martian meteorites in our collections? Well, Chroococcidiopsis can survive similar shocks at up to 10 GPa (see Ejection of Martian meteorites). So it would not survive on ALH84001 with its 32 GPa. The least shocked of all the Mars meteorites are the Nakhlites Lafayette and Y-000593 each with 5- 14 GPa shock. All the others had at least 14 GPa and Chroococcidiopsis would not survive that (see Experimental evidence for the potential impact ejection of viable microorganisms from Mars and Mars-like planets). It is possible that Chroococcidiopsis with its 10 GPa tolerance could withstand the shock of ejection for Lafayette and Y-000593 at 5–14 GPa at the lower end of that range. But, if it was on Mars, how would it get into these rocks 3 meters or more below the surface on modern Mars? Even if somehow you imagine it did get in there, perhaps billions of years ago, it would be dormant in the extreme cold, well below the temperatures of dry ice. It would die from just the radioactivity of the rock over billions of years. If you suppose somehow it got into the Martian subsurface at a much later stage, it would be sterilized by the over 10 million years transit time to Earth for those two meteorites (see Ejection of Martian meteorites). Now, a few rocks will get from Mars to Earth within a century, and others within a few thousand years etc. The last such rocks could have left Mars as recently as 600,000 years ago (after the most recent known impact on Mars to send meteorites to Earth). That suggests there may be a possibility that some viable martian microbes got to Earth from Mars during the Cromerian 600,000 years ago. But, to go back to our friend Chroococcidiopsis, how could it get down to 3 meters below the surface from the surface layers of dust, salt and ice it would normally inhabit, or under the crust of surface rocks, without flowing water on Mars to wash it down? After all, as a photosynthetic cyanobacteria, it needs light, so you expect to find it under the crusts of surface rocks, or in thin brines in the dust, or similar situations. How can it get into the deep subsurface in modern Mars? There are times when our modern Mars is briefly more habitable with occasional surface flows of water, sometimes tilting so far it has equatorial ice sheets, and at times its orbit becomes so eccentric it becomes significantly warmer when closer to the sun in its orbit, and sometimes it does both. But surface liquid water is rare even then. At other times it has near surface vast hydrothermal vent systems after volcanic activity - but you are still talking about square kilometers of vent systems, and cubic kilometers of water. It's not much on an entire planet, a few square kilometers, only liquid for a thousand years in hundreds of millions of years. It's not totally impossible for life to get into such rocks even now. Our most recent known rock to leave Mars, ETA 79001 is the martian meteorite that Colin Pillinger's team thought, in 1996, just possibly might preserve evidence of life on Mars as recently 600,000 years ago. The abstract for the paper is here. Sadly their evidence was "not conclusive, perhaps not even compelling" as they said in their abstract. Considering the other obstacles to life getting into a dry cold rock over 3 meters below the surface, even the few rocks that got here within a century of leaving Mars might well be sterile before they left Mars. We don't know if there was any life transferred from Mars to Earth. If it happened it was most likely billions of years ago when Mars had oceans. Was early martian life able to withstand the shock of ejection, the cold and vacuum of transfer, the layers of rock removed as it entered the Earth’s atmosphere and then was it able to get out of its rock and survive on Earth? With this background - it's entirely possible that no life has ever been transferred from Mars to Earth. This is why astrobiologists, when designing instruments to search for life in situ on Mars design them to detect life with any possible biochemistry, including life that is unrelated to Earth life, perhaps without proteins even or DNA. Most think that our friend Chroococcidiopsis evolved on Earth, and got its amazing capabilities to survive in conditions of near vacuum and high levels of ionizing radiation like those on present day Mars as a result of its billions of years evolution as a polyextremophile and adaptation to deserts. The ionizing radiation resistance may be a byproduct of desiccation resistance. However, if the hypothesis was correct that Chroococcidiopsis came from Mars originally (see Was Earth ever infected by martian biota? Clues from radioresistant bacteria), it might give us an example of what can happen when you introduce life from one planet to another. If so, according to some accounts it is one of the microbes that caused the greatest mass extinction in our planet's history. I am talking here about the Great Oxygenation event that transformed Earth’s oceans and atmosphere to the oxygen rich environment we have today. Though great for oxygen breathers, it may have been devastating for early forms of life that had not learnt to tolerate oxygen. There are many of those still today, so the early life may have just retreated to niches where there is no oxygen at all, but many of the species might also have gone extinct. At any rate, whether it was a mass extinction or not, it was a major transformation of our planet's environment. What about later mass extinctions, could any of them have been caused by life from Mars? It's not usually listed as one of the hypotheses. But there are many mass extinctions that we don't know the cause for, sometimes with many hypotheses, but no agreement on what caused them. The United States National Research Council looked into this in their 2009 sample return assessment, and found that on the basis of what we know so far, there is no way to know whether or not there have been past mass extinctions caused by life from Mars. (Assessment of Planetary Protection Requirements for Mars Sample Return Missions, page 58.). "The phenomenon of natural transport of material from the surface of Mars to the surface of planet Earth, in the form of martian meteorites, cannot be used as justification to relax or abolish plans and procedures for quarantine and strict sample containment for future Mars sample return missions (MSR). Biosphere upsets, ecological disasters, and species extinctions have been far too numerous and their causes too poorly understood to rule out occasional possible contributions from exogenous biological invaders. In addition, in today's large, highly intertwined global civilizations, even small perturbations to public health, ecological stability, economic balances, or perceived threat of any of these could eclipse the public support that will be needed for space exploration and sample return programs with responsible planetary protection measures." The Lafayette Meteorite meteorite, one of our least shocked, but it still had a sudden 5 - 15 thousand atmospheres pressure of instant shock on ejection and it came from at least 3 meters below the surface of modern Mars and spent well over 10 million years in transit from Mars to Earth as well as tens of centimeters of the rock burning up in our atmosphere on re-entry. To continue Zubrin’s Canada geese analogy, a goose is a strong flier and it’s absurd to take precautions to keep them out of the USA by inspecting the trunks of cars on a road trip from Canada to the US. The Canada goose however, is unable to fly as far as the UK by itself. And a weaker flier such as the oriental fruit fly is even less able to do that. It can’t make the long sea trip from Hawaii to California. It is also a major pest, and Californians take a lot of effort to prevent it from being imported and damaging their crops. The problem is, a microbe is not as easy to eradicate as even an oriental fruit fly. Whatever happens to Earth's environment or the martian biosphere as a result of our actions could easily be irreversible. So what about the other direction from Earth to Mars? This may seem absurd at first, isn’t it perfectly adapted to Mars? Well, yes, but so also are the Kakapo, or flightless parrots perfectly adapted to New Zealand, yet they were nearly made extinct by predators that had never encountered either New Zealand or a flightless parrot before. There are many other examples of this nature, rabbits and wallabies in Australia etc. It could go much further than extinguishing some of the species of martian microbes. What if what we find on Mars is an early form of life? It could for instance predate LUCA (Last Universal Common Ancestor). It could predate Darwinian evolution (a suggestion by Carl Woese, in a 2002 paper On the evolution of cells and followed up in many papers since then). If so, it could be perfectly adapted to Mars, biofilms that work together to inhabit hostile situations on Mars, but the biofilms might simply not have any defences against Earth microbes, because before LUCA life according to this hypothesis didn't need to defend itself against other life. Instead all the cells in the biofilms would be transformable cells, able to take up naked RNA from each other and rapidly pass any new adaptation through the biofilm through lateral transfer. This would be an entire biosphere with absolutely no predation and no competition of organisms. It is one possibility for what we may find on Mars. Such life might potentially be very vulnerable, so much so that it's not impossible that not only some species, but all native Mars life is extinct before we know it is there. You may think that Curiosity is searching for life on Mars. However, more accurately speaking, it is searching for habitability. It doesn't have any instruments designed to detect microbial life of the type likely in such conditions. Indeed, we have had only two dedicated astrobiology missions to Mars so far Viking 1 and 2, sent to what we now know to be one of the less likely places to have life there. Their experiments were confused by the unexpected chemistry, and were inconclusive. There still are astrobiologists arguing both ways about whether they found life or not, especially with a recent discovery by Joseph Miller, a specialist in the circadian (day night) rhythms of most life (including microbes) of what seem to be rhythms in the evolved gases offset by two hours relative to the temperature changes. A few tens of minutes could be explained by chemistry, but a two hour offset is hard to explain without biology. So, some think Viking found life. Most think not. Either way, we have sent no more follow up astrobiological experiments to Mars since then. Partly because the surface seemed sterile until the accidental discoveries of Phoenix in 2008. Partly because of the decision to switch to a search for habitability rather than a search for astrobiology. And partly just through bad luck, e.g. NASA pulling out of the joint US / ESA partnership to send an astrobiological mission to Mars, the earlier version of ExoMars. The search for habitability has been amazingly successful. Our rovers have proved that Mars was habitable in the past with seas and lakes, not too salty, suitable pH for Earth life, and occasionally with running water and possibly even open lakes (not frozen over, or not frozen over year round at least). They have also found out that there is liquid water there right now, within a couple of centimeters or so of the surface, thin layers of brines, some of which may be habitable, which were not known at the time of Viking 1&2. Phoenix spotted droplets on its legs, now thought to probably be a natural result of perchlorate salts falling on ice, and since then the RSLs (Recurrent Slope Lineae) were found, Curiosity indirectly detected the presence of liquid brines (in that case probably too cold to be habitable) just below the dunes it drives over, and there are many other possible habitats to search now. So, why haven't they sent instruments to look for life yet? Well, actually they have tried to. Astrobiologists have tried many times to get in situ instruments sent to Mars, and some got as far as being included in a payload. But at present it is extremely expensive to send instruments to Mars, and the priority of NASA has been to search for water, past and present, and habitability, not life. Also we need new methods to sterilize modern rovers, because the methods used for Viking were worked out for older technology. Still, some astrobiological instruments have got pretty close to flying, but never actually got onto a spacecraft headed for Mars. UREY didn't fly because NASA pulled out of ExoMars and the result was too heavy for Russian launchers. Solid3 was ready for flight on ExoMars, lighter than UREY but was descoped. Gilbert Levin has been trying to get a chiral labeled release experiment sent to Mars ever since the 1970s, update of his 1970 experiment to resolve the ambiguity. At one point he nearly got it accepted on a Russian spacecraft but it also didn't fly. The mass, power requirements and costs of instruments have gone down rapidly in the last decade. The cost of heavy lift to Mars has also gone down with the Falcon Heavy, if we use that, and is likely to go down further. This all helps to create a situation where, if there was a call for astrobiological instruments to send to Mars, there would be some proposals ready to fly , or close to, and others that are close to that technological readiness level. For a few kilograms, we could have a complete astrobiological suite with several instruments on it, searching for life in many ways. The astrobiologists recommend that for the best chance of finding life, we should have dedicated astrobiological instruments that are able to search for biosignatures in multiple ways. This we now have, and could fly. Zubrin also questions the value of martian microbes. Is it worth postponing attempts to colonize Mars in order to study what are, after all, probably just microbes? Well, the reason experts in astrobiology value microbes on Mars so highly is not because they are microbes, but because they are extra terrestrial microbes, mini ET's. They may be the only ET's in our solar system for all we know. They may for instance not use DNA. They may perhaps not have proteins. They may become the basis of entire multi-billion dollar industries, and of new advances in medicine, agriculture, new understanding of the basics of biology. Extremophile enzymes, resulting from study of microbes that live in extreme environments on Earth, are already the basis of a billion dollar industry for such things as making it possible to wash materials in cold temperatures - also saving a lot of energy. There is no knowing what we might learn from alien microbes. They are like our heritage, something wonderful that may have been left to us in the solar system. The main issue I have with destroying it is this idea that we don't need to know what it is we are going to destroy before we make our decisions. "Oh goody, this box is made of wood and I need to build a fire for bonfire night"
and you just put it on the bonfire without looking to see what is inside. You don’t even examine the box itself carefully either. You just see “wood” and use it to keep warm or barbecue some sausages. Maybe you don't need a box. And yes you got some benefit from your inheritance. It kept you warm for a few minutes of the evening. That's like the martian microbes, we've got plenty of microbes on Earth, why do we need more? But if you don't look inside, that's like extinguishing our only chance of ever studying life based on a different biochemistry in our solar system, without looking inside first to see if they function like Earth microbes. For all we know, life is abundant in our solar system, maybe there are lifeforms in Europa, Enceladus, Mars, Ceres, Pluto, everywhere. And perhaps indeed they are so similar that the differences are only minor ones of interest to experts. But each of those places might also be, for all we know, unique. They are like treasure chests that may be empty or may be piled to the brim with rubies and diamonds, and other precious things. They are also treasures that can unearth secrets of the biological past on Mars and perhaps also answer questions about life in our galaxy generally. The nearest such planet other than Mars may be many light years away - not within reach for us to visit it within our lifetimes or our children's lifetime, except maybe with a robotic flyby taking photographs as it zips past the planet. We just should not destroy these potential treasure chests, until we know what is inside. Once we know, we can then have this debate about how vulnerable martian life is, and whether it is okay to extinguish the native life on Mars. And that might also depend on whether it is possible to cultivate it in artificial habitats, or set aside regions of Mars where Earth life can be kept out. And - it is possible that it is hazardous to Earth life, so it can go both ways, that Earth life extinguishes martian species or vice versa. We simply have to know what is inside that box before we burn it! Q. "I am Jim Crawl from Arizona State University. I was listening to doctor Chris McKay, another advocate of humans to Mars, and he was talking about when we do go to Mars and if we find life either currently there or extinct, we should consider removing human presence so that we can allow that other life to thrive. I was wondering what your thoughts on that were. " A. "Well it really doesn't seem like there is any life on Mars, on the surface at least, we are not seeing any sign of that. If we do find some sign of it, then for sure we need to understand what it is and try to ensure that we don't extinguish it, that's important. But I think the reality is that there isn't any life on the surface of Mars. There may be microbial life deep underground, where it is shielded from radiation and the cold. So that's a possibility but in that case I think anything we do on the surface is really not going to have a big impact on the subterranean life.". As you see, he doesn't think that anything on the surface will impact on martian life which he thinks is deep underground. However, though that was the consensus of most astrobiologists ten years ago, nowadays opinion on it is much more divided. As for resources for humans to use to build our habitats, we don't need to go to Mars for that. There are enough resources in the asteroid belt to build habitats slowly spinning for artificial gravity, with total habitat area a thousand times the surface area of Mars, and the perfect conditions for humans to live in. Indeed, the choice of whether you want to live in a tropical or temperate climate or even Arctic climate is just a matter of deciding how much light to let in and the size of the solar collectors. You can also replicate conditions on other planets too, so if you want martian gravity, say, or even lunar gravity so that you can fly like a bird by flapping wings, you can do that too. You can complete a habitat like that in a quarter of a century - I base that on the timescale for building a habitat for 10,000 people for the Stanford Torus (see table 6-1) Once constructed if things go wrong, the atmosphere goes out of balance, you have too much of some gas produced (e.g. H2S), some problem pathogen affects your crops, you can sterilize the whole thing of the problematical microbe and introduce a new biosphere from scratch, if necessary. This is not possible when terraforming. There are two things here, the construction time and the payback time. In their plans, the Stanford Torus starts paying for annual costs after 28 years and it's 70 years to pay back initial costs, by sale of clean electricity to Earth. The main problem with building such a colony now, is to figure out how it can pay back the construction costs. For the Stanford Torus $200 billion in 1979 dollars or just short of a trillion dollars today. This is of coure far less than the cost of terraforming, though likely to be similar to the cost for city domes. Perhaps lava tube caves could be lower cost than this? We could start with far smaller colonies; they also need to pay for themselves however. I think that tourism is a likely way to do this for lunar colonies once we have hundreds of millions with easy transport to the Moon and nearly everyone going there at some point in their lives. Alternatively if we have some kind of sovereign wealth fund using taxes from space mining projects, we could use some of that to pay for these colonies. It's the same for any colony including a Mars colony. Also, they all cost far less cost than for terraforming, a much larger project with megaarchitecture that has its main pay of centuries and then thousands of years into the future. They don't really think in terms of payback time for Mars colonies, not with detailed figures as for the Stanford Colony. They say that IP sales by inventors on Mars will pay for it all, without explaining how this would work. It would never work as a prospectus for a venture capitalistl. I think probably they are never going to break even myself. We are not going to build habitats with living are of a thousand worlds overnight. But each individual one can be built in perhaps a quarter of a century. If costs go down and they are easier to construct and can pay for themselves, and it becomes an exponential process, then large areas of habitats could be built. This is why O’Neil etc were so focused on space habitats in the 1970s because of this calculation. Isaac Asimov used the term “Planetary chauvinism” to refer to this idea that we have to live on planetary surfaces once we go into space, he says he got the term from Carl Sagan. Carl Sagan's example of Legionnaires' disease is a disease of protozoa and biofilms that uses the same method to infect human lungs. If there is life on Mars it is likely to form biofilms and any disease of those biofilms would be likely to see our lungs as nice big warm moist biofilms. Or invade as a biofilm. An estimated 65% to 80% of human infections are associated with invasive biofilms. Pathogens do not need to adapt to megafauna to be lethal. It's rather the opposite. Pathogens are at their most lethal when they leap to a new host as it is in their interest to keep their host alive. In that case our lungs, never having seen anything like this martian microbe, simply do not put up any defences at all. Not only that, it could in the very worst case, be the situation that no higher lifeforms on Earth mount any defences against martian life. If that happens the situation may be very dire for the environment of Earth after life returned from Mars. I think with our technology humans and our civilization would survive, through paraterraforming, covering Earth with vast habitats to keep the martian life out while humans and whatever Earth species we save survive inside. Back at the time of Apollo I think such a scenario could easily have made us extinct as we didn’t have the necessary technological or biological sophistication - back then we were still using tiny metal rings wound by hand with thin wire as the memory core for the Apollo flight computer - I think many forget how primitive our technology was back then compared to what we have now. If it is a second genesis, antibiotics are not likely to stop them either, because they work by disrupting particular processes in the biochemistry of Earth originated cells. Antibiotic resistant cells typically resist by evolving slight modifications of the enzymes targeted by the antibiotics. An alien biochemistry might well never have the exact enzymes targeted by the antibiotic in the first place, so may be naturally resistant to our antibiotics. We do not know enough yet to evaluate this risk and say what the chance is of it happening. It may be that the risk is very low, but we don't even know that and we certainly can't prove it is zero using analogies of canada geese. And quarantine can't prevent this. Because the hazard isn't just to humans but also to our biosphere. For instance a microbe that attacks plankton would not show up any hazards necessarily in quarantine. There are human diseases also that wouldn't show up until 20 years of quarantine in the case of leprosy (another Sagan example). Similarly, any microbe that attacks anything in our biosphere is a threat. Indeed microbes can also evolve rapidly. Some harmless microbe in the quarantine unable to grow on Earth at all may take up the capability from an Earth microbe via lateral transfer, if related. Or it may evolve or unlock some capability through gene expression, and years later, find a way to survive and be a nuisance on Earth even in the very habitats that caused no problems when simulated in a quarantine facility. When assessing the risk of martian life for Earth, at some future point when we have studied it in depth, astrobiologists would have to consider such possibilities as well. And Mars has hydrothermal vents, from the past, possibly still, it has surfaces that reach 20 °C at times so it can easily have life that doesn't find Earth too hot. It has a superoxygenated surface too. So it's not like Titan, there is a reasonable chance that martian life can survive on Earth. So, the worst case of all is that Earth life has no defenses against martian microbes that just munch through our higher lifeforms, antibiotics don't work, nothing stops them. Except barriers. We end up paraterraforming Earth with giant habitats to survive. I don't think anyone could tell you for sure that this can't happen at this stage. Or it could be a minor nuisance like freezers having to operate below -80 °C to stop food getting mouldy with martian fungi laced with a perchlorates and hydrogen peroxide based biochemistry as antifreeze. There are many possible ways that two colliding biospheres can interact in ways that may not always be desirable. This means it would have to be a fireball all the way up from the surface. The last time this was possible was 66 million years ago, the Chicxulub impact into a shallow tropical sea. Some of the smaller rocks from that would get to Mars yes, but most would take millions of years in transit. Most highly shocked. All of it in rocks that had the outer surfaces ablated away by fireballs. If they had any cracks with photosynthetic life in them, the plasma of the fireball would have sterilized those thoroughly too. So you are talking about the possibility of life transferred to Mars from a tropical ocean, life that was deep inside a rock with no cracks to let in the plasma. Almost certainly not photosynthetic life. Also it has to be able to withstand the vacuum and cold of space, and the thousands of atmospheres pressure shock of ejection, not as a steady pressure but sudden instant shock. And then once on Mars it has to find a habitat there which is very unlikely for a microbe stuck in a rock with no cracks in it, on a dry modern Mars with very few habitats there of thin films of brine. It is much the same as in the opposite direction from Mars to Earth, but harder if anything. It is not at all certain that any life transferred from Earth to Mars. If it did, the most likely time is in the early solar system when 100 kms diameter asteroids hit Earth and blew holes in the atmosphere so leaving a vacuum for rocks to get through so avoiding the fireball of ejection issue. The main question is whether back then, over 3 billion years ago, the life on Earth was able to withstand the passage to Mars in the way modern microbes can. If it could then we may have distant cousins from over 3 billion years ago on Mars. That would not however make it safe for Earth after 3 billion years of evolution separately on a different planet. Yes, in our wishful dreams, we could be headed for a wonderful co-existence where any martian life is only beneficial to Earth life, and Earth life also helps save native martian life from extinction. If you were writing a science fiction movie you could argue plausibly for that as a possible plot line. But this is not the script for a movie and we don’t get to write the conclusion in advance. We have no way to know the answers here, until we study native martian life, if it exists, and to do that, we need an astrobiological survey of Mars in situ, not a sample return which will only tell us if there is life on 30 small patches of rock 2 cms in diameter selected for geochemical reasons by a rover that is not sterilized enough to go up to any likely habitat in its region on Mars. MARTIAN UV, PERCHLORATES AND IONIZING RADIATION ARE NOT STERILIZING FOR MICROBES - NOT EVEN FOR HUMANS! First, UV is blocked out by a thin layer of dust - or a shadow. It is just light. Some lichens and cyanobacteria can even tolerate martian levels of UV enough to photosynthesize and grow in partial shade conditions in Mars simulation chambers. The ionizing radiation is sterilizing over hundreds of thousands of years, but ionizing radiation resistant life like our chroococcidiopsis can repair double breaks of DNA in hours, and so there is no problem at all for them so long as they are dormant for only years or even millennia. The ionizing radiation levels measured by Curiosity on the Mars surface are the same as the interior of the ISS. For humans they would increase the risk of cancer but not hugely and Robert Zubrin has argued that the ionizing radiation on Mars is not lethal to humans. I think most of us know that microbes can withstand much higher levels of ionizing radiation than humans. The thing is the ionizing radiation is sterile for DORMANT LIFE which is why they used to think the surface was totally sterile. But not to life that is able to grow on Mars, even a psychrophile microbe with a generation time of centuries or millennia would have enough metabolic activity to keep its DNA repaired if it is radiation resistant and Earth life didn't even evolve in an environment of ionizing radiation but has the capability incidentally as a result of desiccation resistance so we can suppose martian life is at least as resistant. As for perchlorates, they are harmful to humans because of the effects on our thyroid glands, but microbes don't have thyroid glands. There are quite a few that use perchlorates as an oxidizer in their metabolism. The UV transforms it into the more damaging chlorates and chlorites, and those can kill us, and they can kill microbes too. But as I said, UV is blocked out even by a shadow, or a thin layer of dust. So there's no reason to suppose all the perchlorates on Mars are laced with chlorates or chlorites enough to be hazardous to either humans or microbes. Some of it surely is. Some of it is not.And not all the proposed habitats involve perchlorates. By presenting a picture of a surface that is so lethal to microbes one wonders how he thinks humans can survive there? Of course when it comes to humans he argues very strongly for the other side of the case, that the martian environment is not at all lethal to humans. But if so, then why would it be so lethal to microbes? In any case, it’s not much use being able to tell martian life apart if it has been made extinct. It would be nice to think that we can't harm martian life in any way and that it would be easy to tell apart and that it can't harm Earth life. The problem is this is not a movie script, we don't get to write the conclusion, and there isn't so far any evidence to support those ideas. We can't know any of that until we do an astrobiolotical survey of Mars. If we did find that early pre-LUCA life, it would be rather obvious, perhaps, that it wasn't Earth life, cells growing and dividing under a microscope - and yet, no DNA and not even any proteins. What an amazing discovery! But if that discovery was made by humans who managed to find it before it went extinct - the next follow up bulletin could easily be that the life has now gone extinct. Yes it would be an exciting day when the first human steps on the surface of Mars, and a matter of prestige for those concerned. This is something I have read about since a child, and I would be as excited as anyone. But all that praise and excitement might quickly change to dishonour if we find that they introduced reproducing Earth micro-organisms to Mars. The first humans to land on Mars - or to crash there - might easily enter the history books as the people who contaminated Mars irreversibly, making it almost impossible for scientists to study it properly. That's a big deal given that our main scientific reason to go to Mars is to search for life there. To dramatize the idea, here are a series of "Future Possible News" stories in a (hopefully) "alternative future" in which humans accidentally introduce Earth life to Mars, then regret what they did. Zubrin is right that the Mars sample return is amazingly expensive for a robotic mission, if you count all the three spacecraft that make it up as a single long term mission. It is their major program for two decades. But this is no doing of the astrobiologists. They have been saying over and over that a sample return is not the thing to do. We need to send in situ instruments to Mars to study it. If you were searching for life in similar habitats on Earth, it's easy. Anywhere with organics will have life, almost certainly. Indeed, if a meteorite falls to Earth then they rush to try to pick it up before it gets contaminated by Earth life, and a "witnessed fall" are highly prized for that reason, especially if it falls into a dry desert. But Mars has a constant influx of organics from meteorites and comets, so much so that it may well overwhelm the signal from what little it has of present day life still eeking out a living in thin brines or the humidity of the air itself in a cold dry desert. There is no reason to expect a sample with organics returned from Mars to resolve any of the central questions in astrobiology. Instead, even the most interesting of such samples for astrobiology are likely to be as ambiguous, leading to another several decades of debate, as the martian meteorites we already have. Only one astrobiologist that I know of is on record as supporting the idea of a sample return, and that’s Chris McKay. But he does not support the big double decade sample return mission of NASA. He proposes a simple mission to grab a handful of dirt from the surface and return it, two days on Mars, tops. For him this is only a technology demo for astrobiology, and he would sterilize it to avoid the planetary protection issues. All the astrobiological papers I found agree on this point. At our current stage of understanding, a martian sample return is a technology demo that is unlikely to answer the central questions in their field. It is of great interest to planetary scientists and geologists. As for the search for life, it’s time is not yet, but it would be useful later on once we find samples on Mars we wish to study more closely on Earth. We do need to be able to drill, yes, astrobiologists say it is a top priority. But we don't need humans to do it. ExoMars will be able to drill 2 meters. The Insight lander can drill 5 meters with a robotic mole. It's the same for most of the proposals they'd use self hammering moles rather than drills. Like the Insight Lander but able to retrieve samples and return them to the surface. We have actually sent one of those to Mars already on the Beagle lander, PLUTO but sadly one of its panels didn't unfold and it never phoned back home. But it would have been able to drill and retrieve samples from up to 1.5 meters vertical depth below the llanding site, as well as travel across the surface horizontally and drill under boulders. ExoMars will retrieve samples from a depth of up to 2 meters with its drill system. One of Honeybee Robotics' moles has been tested to 50 feet in gypsum, its intended for use in amorphous ice e.g. Europa's ice cover and should be able to drill hundreds of meters, and eventually, many kilometers in such conditions..They are working on their inchworm drill able to drill to a kilometer and eventually tens of kilometers through regolith ice,and rock too. Conventional drilling to such depths would also need heavy casings to stop the bore collapsing and it's not practical to send such things from Earth or make them in situ. To get to a depth where organics can be preserved for billions of years we need to drill to at least 2 meters ideally 5. That is well within what we can do already. For near surface layers we only need to be able to drill centimeters to get down to the subsurface brine layers. Most drilling rigs such as we use on Earth don't work on Mars because they use drilling fluids and in the near vacuum they are at boiling point, the ground is also very dry and porous. Some form of dry drilling is needed. And humans are very clumsy in spacesuits - have you seen the attempts by the Apollo astronauts to get a simple core by drilling? They often fell over. The suits may be a bit more flexible than that but it's not ideal to drill in a spacesuit, remember the high internal pressure, gloves stiff as if your fingers were inside a garden hose, so stiff that astronauts risk losing their fingernails and have special internal gloves to protect them from damage. And if humans were faster, what is the good of drilling into a habitat if are drilling with equipment covered in hardy spores and dormant states of Earth microbes? What is the point in drilling just to find life you brought there yourself?. The Russians with lake Vostok still don't have a good sample of the lake. They triggered a geyser from it by drilling downwards because it is under high pressure, which rapidly froze which they think stopped surface microbes getting into the lake - but it didn't stop them getting into the sample they brought up which, though interesting, remains somewhat controversial. When we can't yet figure out how to drill into a lake in Antarctica without contaminating it with surface life, how will that work on Mars? We need to be able to drill yes. We don't need to have humans drilling. When comparing people with robots you have to take account of the time it takes every day to put your spacesuit on and off (not a simple task when it is as complex as a mini spaceship and your life depends on it functioning perfectly), check it for flaws, repair it (they need constant maintenance and repair) and then walk out to the site you are exploring. Even if you got there in a rover parked next to your site, still you have to walk out to the location. All that adds hours to each day- while with a robot operated from orbit, you just "teleport" to it in a shirtsleeves environment and are there instantly as soon as you log on and don your binocular 3D vision goggles and your tactile feedback hands and step onto the omnidirectional treadmill if you are controlling the rover by walking rather than mouse / joystick. Whatever method you use to control the rover, it's a matter of minutes to take off from where you left it last. In the only comparison study I've come across, for HERRO, completed in 2013, a single orbital mission for a crew of six does more science than three similar missions on the surface, for far less infrastructure and only a little over a third of the total number of launches (you don't have to land the large human rated habitats on the surface of Mars) Here is a powerpoint presentation from the HERRO team, with details of the comparison. This is their 2011 paper and this is their 2013 paper on the topic. We haven't had any comparison studies done since then. The technology for spacesuits has moved on a bit, but so have our telerobotic capabilities. Also avatars operated from orbit can be any size, e.g. small enough to get into tiny cracks and caves, they can also be lightweight and travel on balloons or fly. And anything you see is streamed back to Earth broadband building up ultra high resolution 3D landscapes wherever you travel that experts back on Earth can then explore in virtual 3D and notice things you maybe didn't see yourself. It needs a proper comparison done again like the HERRO one. I think that telerobotic exploration is likely to win hands down again if they do that. Anyway what good would it do to be faster at exploring Mars if all you find is the life you brought there yourself? You often hear people say that humans on the surface would explore much faster. Yes compared to humans on Earth operating rovers with a top speed of 100 meters a day and only one uplink / downlink per day typically. The broadband communications and regular many times a day communications with rovers would speed things up hugely, a couple of orders of magnitude probably, but humans in orbit around Mars probably another similar speed up on top of that. You have to compare humans on the surface with telerobotic broadband exploration from orbit operating rovers capable of traveling hundreds of kilometers a day, not our current slow clumsy robots operated from Earth. They could be as far away as Sedna, round trip time 24 hours, and we could explore no faster than we do today on Mars. Zubrin often talks about how in a simulated Mars exploration wearing Mars suits and trudging around for days they eventually spotted a fossil bone fragment, which turned out to be a major discovery. That's true. But we don't expect to find fossil dinosaur bones on Mars,the evidence there is far harder to spot and probably can't be seen with a human eye. Not until we know how to interpret it. It's possible for instance that the blueberries are all evidence of past life, and those are easy to find, and our robots can find them too. And you need to compare it with how we'd actually do telerobotic exploration of Mars. For instance it would involve streaming back multi-gigabyte 3D landscapes wherever they go that humans back on Earth can explore in virtual 3D and then say to the operator "send your rover over to that spot and have a closer look". I look at this argument here in my online book. I am strongly in favour of humans in space, with a return to the Moon first, but I think with Mars that we should study it from Earth and from orbit first. With a vigorous program to explore Mars searching for life from orbit we could have the answers to our questions most likely within a decade, if we could land tons of equipment at each of a dozen sites searching for present day and past life. And it is not a rubber stamping exercise. If it was it would be silly and pointless indeed. But the reason for doing this is because there is a real risk that Mars life is harmful to Earth’s environment or our astronauts, and that Earth life could extinguish martian life. We don’t yet have any way to assess the level of this risk. We must (in my view) know the answer to this first. Any debates about whether to land humans on Mars or return unsterilized uncontained samples have to come after we know what we are doing. We can do sample returns before 2040. But by far the simplest way to do that is to either sterilize them or return them to somewhere safer to examine them first such as above GEO. If we can prove that the martian life is safe for Earth we can do the rest through COSPAR. If we can’t then all the provisions to protect Earth come into play and we can’t even do it under the Outer Space Treaty. There are numerous other treaties and domestic laws to protect our environment that did not exist at the time of Apollo. You can’t get around it by being a private citizen. These issues would also apply to Elon Musk’s BFR’s returning from Mars, as there is no way they could be sterilized sufficiently to protect Earth from all possible martian microbes, not until we know what is there and what we need to protect against. It would just take some dust from the surface of Mars to get into the BFR. Zubrin’s vivid images of Canada geese smuggled in boots of cars work well in public debates like the one at SETI. But somehow I don’t think they will be so convincing in an EIS or in the detailed examinations of the provisions for protecting Earth with expert witnesses that take years to complete. I think many of those expecting a sample return to be easy and straightforward think that all they have to do is to win over the experts at COSPAR and get them to sign some kind of a waiver. Or find a way that the government or private space can legally ignore them. But this is not only far above the paygrade of the planetary protection officers as Cassie Conley used to put it. For protection of the environment of Earth, back contamination, the decision is far above the paygrade of the experts at COSPAR too. It can’t be done solely within the Outer Space Treaty. A typical EIS takes 3–4 years. But that’s just a start of all the hurdles you have to overcome in this case. I did an attempt at estimating how long it would take based on the work of the sample return studies and Margaret Race’s work on the legal complexities of a Mars sample return. It seems optimistic, given the vast numbers of laws to negotiate, that we complete the legal process in a decade. Then on top of that, the likely requirements for the sample receiving facility, building it and testing it, based on the most recent ESF sample return study, would add at least another decade or two. It’s hard to know for sure, but it would seem optimistic, if we started the legal process today, that we’d return an unsterilized sample before 2040, and quite probably we couldn’t do it until 2050 or later. And that is a requirement on everyone. This is a natural thought. After all it is not the first time we have returned materials from outside of Earth that could have life in them. Why not just do what they did during Apollo? The problem is that those measures were rescinded long ago and can't be used today. They are regarded now as being mainly symbolic and showing how not to do it. The first opportunity for life from the Moon to get into our sea happened when they opened the hatch of the Apollo 11 command module and some of the dust must have got into the ocean at that point. Well actually they vented to the atmosphere on the way down a bit before that too. The original plan which the planetary protection advisors asked NASA to do was to lift the module out of the sea on a crane, but the mission planners overruled it because the astronauts would have had to bob about on the ocean and likely got seasick. Carl Sagan had some scathing things to say about it when he saw this going on on TV, the first he learnt about their plans. And the entire Apollo plans for protecting Earth were only published on the day of launch of Apollo 11, with no opportunity for peer review or modification. This would not be permitted today with our greatly increased awareness of the possible vulnerability of the environment of Earth. Also the lunar receiving facility had only just been built and the staff did not have adequate training and there were many lapses there which would have lead to material leaking into the environment of Earth. And Buzz Aldrin has an anecdote about how when they were in the quarantine module at one point ants got into the module somehow from outside! And there was no reasoning in support of the time they spent in the quarantine module either, the latency period of Leprosy for instance is up to 20 years. And quarantine would only test for diseases of humans, not other effects on Earth's biosphere. We were lucky. Part of the reason that the mission planners didn't pay much attention is that the risk of life on the Moon was already considered low indeed far lower than our current ideas for the chances of life on Mars, they thought it was just about impossible anyway but Carl Sagan thought there was a possibility of deep subsurface liquid water habitats trapped from the vacuum of space and spores from them on the surface. Probably if ETs explore a nearby planet at a similar technological stage to us with Apollo, and return hazardous biological materials to their planet inadvertently in the process, then they may well even go extinct, in the worst case where what they return is something that the higher lifeforms of their biosphere have no defence against, as in Joshua Lederberg's idea. We would not go extinct now in a similar situation but we would probably have to keep any invading life out with barriers like paraterraforming Earth with Earth life existing inside giant habitats in the very worst case scenario. For the details of what happened during the Apollo attempts at protecting Earth and lessons learnt see Meltzer’s “When Biospheres collide”. But we could eliminate the risk simply by knowing what it is we are returning. We would then know. Either it is safe to return it or it is not. If it is safe, then we can just do it under COSPAR. If it is not, we can work out what procedures are needed to protect Earth and our astronauts, and new legislation would surely be needed, but it would be far easier than protecting Earth against any conceivable hazard from an unknown biochemistry. Similarly in the forward direction. Once we know what is there, we can decide whether we need to protect native martian life, or indeed native abiotic chemistry (precursors of life can be of major interest too). If we do need to we can decide how to do it based on knowing what it is we need to protect, and why. Perhaps some kind of protected habitats or no-go parks on Mars will do. Perhaps we can’t even land humans there at all if we want to learn about Mars life unless we are going to lose a treasure beyond compare. We just don’t have enough experience yet to make such decisions, whether through informed guesses about what might be there, or vivid analogies. The only way to avoid this is to prove that martian life can't harm the environment of Earth. If you have sufficient proof then you don't have any laws to pass and can do it through COSPAR similarly to comet and asteroid sample returns. But the only way to do that is to study Mars and do an astrobiological survey. So, how long would that take? You can't really answer that. As you explore Mars you may find it quickly, and learn a lot early on. Or it may take a while. The first round of results might lead to a need to send new instruments to Mars to follow up the clues. It also depends on how much effort is put into it. We haven't sent any instruments to look for life on Mars since Viking, so nothing is going to happen until we do that. And we have a planet with as much land area as Earth's continents, and a far more varied terrain than anyone realized a decade ago. It would have to be a case of just doing it and then asking expert opinion at various stages as the search progresses. "Do we know enough yet?" But a decade might be enough, especially if you had a BFR able to land tons of equipment at a dozen or more sites, and then follow up equipment to resolve unknowns from the first one, and do that yet again. You could learn a fair bit in a decade, and maybe know sufficient by then. At least you'd have a clearer picture of what is there: life of some sort, prebiotic chemistry, or a sterile planet with possibly nowhere on the surface habitable to life. If you find life, you would have studied its capabilities and began to get a first idea of what is likely to happen when the biospheres collide. If we explore Mars via telepresence, from orbit, we can be there in person with no chance at all of these possibly devastating consequences of touching Mars. 12th April 2011: Cady Coleman takes pictures of the Earth from inside the cupola.- I've "photoshopped" in Hubble's photograph of Mars from 2003 to give an impression of the view of an astronaut exploring Mars from orbit. One of the orbits suggested for exploring Mars is particularly exciting, the sun synchronous Molniya orbit. You come close twice a day, approaching opposite sides of Mars, always getting closest to a hemisphere of Mars lit up by full sunshine. You skim close to the ice caps of Mars on the way in and out each time, much like the view in this photograph. Then you rapidly orbit around, much like the ISS orbiting Earth gazing down on Mars as you go. This is the optimal time for telepresence. twice a day. Then as it recedes, Mars dwindles to a distant planet, and the cycle repeats twice a day. It would provide great views of Mars, continually changing, in an exciting orbit. And it would be a very exciting mission for astronauts searching Mars from orbit controlling dozens of surface rovers in locations as diverse as the Hellas Basin, walls of the Valles Marineres, and Richardson crater with its dry ice geysers. One of the most interesting potential habitats is in the flow like features that form extending from the dry ice debris after the geyser. In this particular crater these features seem to be caused by fresh water according to all the models so far (other similar features in other craters are formed by different processes). Elon Musk is optimistic that he can send humans to Mars in the 2020s. Well, perhaps he can have the heavy lift to send the masses to Mars by then, but I think many are skeptical about being able to have the closed system life support ready by then, and tested in space. What we have on the ISS is nowhere near reliable enough to send to Mars orbit. We keep it going because we can repair anything that goes wrong from Earth, and over the lifetime of the ISS there have been plenty of incidents that would probably have been fatal for the crew out as far away as Mars. Of course you can just send people to Mars with a high risk of dying on the journey there, and he would get a fair few volunteers. But we can instead send them to the Moon and many of those who would be excited to go to Mars would also be excited to go to the Moon and set up the first attempt at a settlement there, and testing spacesuits, rovers etc that could later be used on Mars if everything works out, or in the asteroid belt, or on Callisto, or wherever humans go next. The Apollo crew made the Moon seem easy, still, there was a high chance of them dying, and they were test pilots who made snap decisions in seconds in situations that would have killed many without that background. The Moon is not the "easy option", it's still a major challenge for human spaceflight today. The retired Canadian astronaut Chris Hadfield, former commander of the ISS, interviewed by New Scientist, put it like this in their article "We should live on the moon before a trip to Mars"
As for how we would pay for it, we already spend billions of dollars a year on robotic spaceflight and many billions on scientific non commercial manned spaceflight. If the objective was to do an astrobiological survey as a government / scientific objective for NASA it could be done, especially with the reduction of costs for heavy lift to Mars that is needed before humans there are practical. By then, ESA, Japan, Russia, India, China etc would be all involved too. Also, we have many miniaturized astrobiological instruments ready to go to Mars, some ready to fly, they use power levels of watts, have a mass of kilograms, and are exquisitely sensitive, one of them can detect a single amino acid in a gram of dirt. Things that just a decade ago filled a laboratory are now tiny devices you can hold in your hand, including end to end gene sequencer, superresolution microscopes, Raman microscopy, electron microscope, miniature experiments to check for metabolic processes etc etc. The shrinking process for the last decade has been incredible. The RSL’s (Recurrent Slop Lineae). Despite news stories claiming that researchers proved they are dry dust, this is not by any means settled. Tumbling dust does seem to be associated with them, but they can’t be the whole story, as they don’t explain the hydrated salts or the seasonality. Also, the dark lines were never thought to be damp patches themselves. There may well be thin layers of brine below the tumbling sand grains, somehow triggering the flow of dust, and thick enough to be habitable. Liquid fresh water 10-20 cm thick about 6.5 cm below the surface of clear ice - this should form through the solid state greenhouse effect, anywhere there is clear ice in suitable sunlit locations at higher latitudes. The conditions are similar to places in Antarctica where they form, and models predict them, if the ice is clear. The humidity of the atmosphere itself, especially at the depths of the Hellas Basin and in the Valles Marineres, possibly more generally especially after early morning frosts evaporate, if there are ground hugging cold layers above a warming soil, and in micropores in layers of salt. Erosional caves (and other caves) - the well known lava tube caves are in the southern uplands and they are not the most habitable seeming of locations, though they also could have life. Mars surely has erosional caves indeed, by a wider range of processes than on Earth. Some may open out onto the walls of the Valles Marineres, for instance. It might involve exploring martian caves by telepresence too. Humans are not optimal for cave exploring in space conditions since they depend on a spacesuit that can get jammed and is easily damaged. You could easily die of lack of oxygen just because you crawled into a space and couldn’t get out quickly enough. Any martian bots could also be tiny, and get into caves no human could get into. Such a survey would give a lot of knowledge of Mars, and give us many assets on the surface. Indeed we could also start to exploit Mars, export materials to orbit, with the processing automated and done telerobotically. It wouldn't delay things, as most of the same equipment we need on Mars works just as well on the Moon. So all this time we are testing the Mars suits, the habitats, the rovers, the greenhouses and closed systems on the Moon, in a place where we can send replacement parts with a few days notice and return damaged parts to Earth easily too for analysis to find out in detail what failed, or went wrong. It will actually speed up development as we can rapidly respond to issues and improve the design and test the new spacesuit, rover, habitat, environmental control system, power supply etc right away. Not only that, we end up with possibly large settlements on the Moon too. When I was a child, then many people in the UK had never left the country. In the early nineteenth century there might have been many people who had never traveled further than the nearest large town. Now we have tens of thousands of planes in flight every day and millions a year, and a billion passengers flying every year. If costs go down to the stage where nearly everyone has been to the moon at least once, we would then have hundreds of millions of tourists every year. So the potential for tourism on the Moon is quite large long term, although the first bases must surely have governmental and science institution backing. Projects To Get To Space As Easily As We Cross Oceans - A Million Flights A Year Perhaps - Will We Be Ready? Mining might be largely automated. However it is also a great place for making electronics, as Moon colonization advocates,point out, the hard lunar vacuum means you can do vacuum deposition easily. For instance, you can make solar panels in situ and those could be an early export for space power applications. Perhaps we move our chip fabrication plants off planet to the Moon eventually, billion dollar plants with a low mass high value product. As a settlement there grows, perhaps eventually we build complete spaceships there too, as it is a far easier place to launch them from than the Earth. It's also a great place for building thorium powered nuclear reactors (since it has native thorium) and launching them safely for space applications. 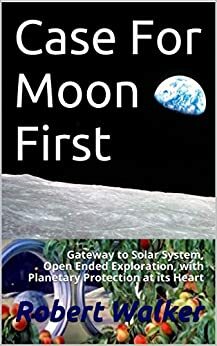 Also, unlike near earth asteroids, the Moon is always at the same distance from Earth, indeed, we can set up the Hoyt cislunar tether system that actually uses the flow of materials from the lunar surface to Earth to power the whole thing, rather like a waterwheel (because the material is moving downwards in Earth's gravitational well). We can always get to and from the Moon in a couple of days or so, any time of the day, any day of the year. If anywhere has potential for human settlement I think the Moon has to be top for commercial viability in the near term, because of its easy access. many local resources and low cost transport to / from Earth once we have the Hoyt cislunar tether system in place or similar. As part of a future in which eventually we explore to Mars, the asteroid belt, Venus, Mercury, Callisto in the Jupiter system, Titan and beyond. But the Moon is sure to be a significant focal point and hub in a future solar system with widespread human settlement. Meanwhile the Moon has a lot of interest for science and it may surprise you to learn that we can probably learn about life on Mars too, from the Moon. The cold traps with ice at liquid nitrogen temperatures produces perfect conditions for preserving organics from martian meteorites that landed there billions of years ago, perhaps some of them after only a few thousand years or even centuries after they left the surface of Mars with its early habitable ancient oceans. It will also have meteorites from Ceres, our Earth all the way through its history, and probably Venus too, if it had a thinner atmosphere back then. There is nothing in all of this to say what decisions we make eventually, once we find out what is on Mars. I am just saying we need to know what we may lose on Mars and what we risk in terms of impact on the environment of Earth before we decide. Perhaps there are no impacts in either direction. In that case it is easy. But to illustrate this, take the example of perchlorate and hydrogen peroxide based martian fungi that will make food mouldy kept in a freezer unless frozen to below -80 °C. Well if that is what the science says, the next question will be, is that an acceptable downside to landing humans on Mars? At that point it's not science, it's politics and a human decision. Science can't tell us what we do next. It can just give us the information we need to make the best decision possible. It is then over to us to decide if it is acceptable to have freezers that have to run at - 80 °C instead of - 20 °C. There might be a lot of debate. Or we might come to a consensus quickly. But at least we'd know what we are letting ourselves in for, either way. Similarly if the result of the survey is that martian life would have no impact on Earth, but Earth microbes could make it extinct, then we have to make a decision based on what type of life it is, whether we think it matters if it goes extinct, whether it's possible to set aside "no-go" areas on Mars for native life, and whether or when we can cultivate the native life in the laboratory. Again there may be many views here, and the decision can't be a matter of science, but is a political one, once more. And again at least we know what the risk is. We know what is inside that treasure chest that we might otherwise have just burnt without looking inside. There is no requirement for 100% sterile landers according to COSPAR. The idea rather is that we minimize the risk. But if we are going to do a thorough astrobiological survey of Mars with many landers, perhaps at a dozen different landing spots, each having some possibility of habitable brines, it seems a little hard to make sure we don't contaminate Mars unless we can achieve 100% sterile rovers. And unlike the situation for Viking, this is something we can do today. If we can archive this, we can send our rovers right up to any of these habitats without any risk of contaminating them. If only a limited survey is done, it may not be needed. Carl Sagan worked on the basis of a few dozen missions with overall probability of contaminating Mars with Earth life kept to less than 0.1%. Per mission chance kept to 0.01%. However, I suggest that if we are going to send rovers to places where we expect to find habitable brines or fresh water, as a top priority for Mars we need to develop a way to make 100% sterile landers. They would also work on Earth as well in these especially challenging environments where we need to prevent forward contamination, such as drilling into lake Vostok. That is possible. We have electronics that are certified at up to 300 °C, for various high temperature applications on Earth, and work on a Venus surface rover have lead to plans for an entire rover that could operate at such temperatures (cooled for Venus) and even higher at 500 °C (much more challenging but they think it is a possibility too for Venus). The authors of one of the studies for a Venus lander have suggested their value for sterile rovers for Mars. At 300 °C all amino acids are destroyed, so heat it for a few months on the way to Mars and the result is 100% sterile. Combine it with the Venus lander project, and I think this should be our top priority myself, find a way to explore these potentially habitable locations. I am trained as a mathematician, with a long term interest in humans in space, astronomy and astrobiology. I’m an Apollo era kid and looked up amazed that they were walking on the Moon, something that hasn’t happened since then for decades. I got especially interested in planetary protection a few years back. Like many I hadn’t even given it any thought before then, just took it for granted, without thinking about it, that it must be okay to send humans to Mars. It’s funny, if you are keen on humans in space, then you don’t even give any thought to it, once humans enter the picture then planetary protection just goes out the window, even if you were reading about it and thinking about it just a few minutes earlier with a robotic probe. But I’ve always had a deep interest in science, and the idea of humans on Mars interfering with science and our chance of finding out about native martian life doesn’t appeal at all, especially if they would make native martian life extinct. And after researching into it some more, then I found out that there is no way to be sure that life from Mars will not endanger Earth’s biosphere until we know what it is we might be returning. 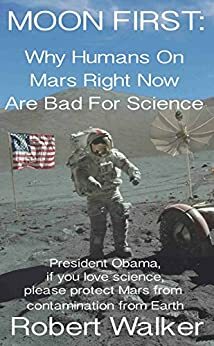 There seemed to be hardly anything by way of popular science articles about it and article after article saying that it is okay to send humans to Mars or not mentioning it. So I started writing articles about it myself to fill the gap. There is a lot of technical literature about it, and I see this as using my ability to writing in an engaging way to get the general public thinking about such topics, and so, as a way to help with outreach. I think the general public have a very important role to play here, as well as being potentially impacted by decisions more than they might realize. I researched into the subject in some depth for my Ok to Touch Mars? Europa? Enceladus? Or a Tale of Missteps? which you can read online and also buy as a kindle ebook. As far as I know it is only the second book that is entirely devoted to planetary protection. It is around 2000 pages long. I am still working on it. The first would be Meltzer’s “When Biospheres collide”. I have written three books on the topic of humans in space and ways to do both - to explore in space with humans in an exciting and ambitious way - and at the same time to do it responsibly, to protect both Earth and other planets and to leave the future open .